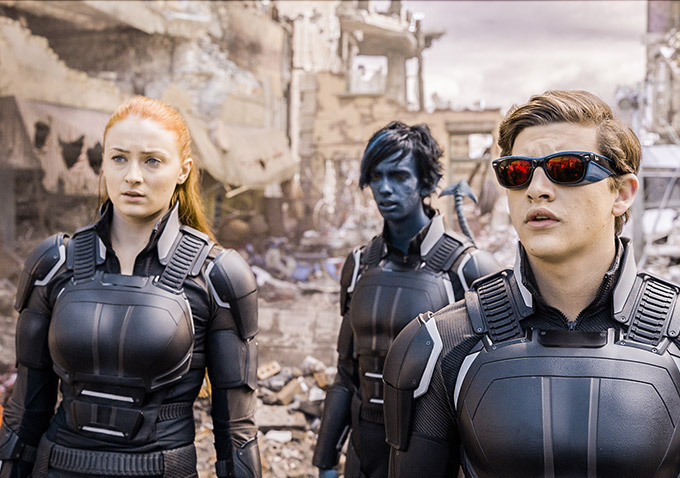 Here are some things that do not happen in “X-Men: Apocalypse”: Jean Grey does not die. Cyclops does not die. Professor Charles Xavier does not die. Magneto does not die. And the villainous Apocalypse does not succeed in destroying the world. These are not spoilers: “Apocalypse” is a prequel to the original “X-Men” trilogy, and anyone who’s in 2000’s “X-Men” has to survive this one. And, while movies love to threaten the world, they rarely have the nerve to cause it any real harm. As a result, superhero movies have created a seemingly insurmountable problem: By threatening to destroy the world and everything we hold dear, they are telling us that nothing much is at risk at all. Part of the problem lies in the nature of the blockbuster industry, which is increasingly dependent on recycled content. When you’re revisiting the same characters, who are doing things that are similar to what they’ve done before, one of the most obvious ways to make the movie seem fresh is to increase the threat your heroes face. In the original “Superman,” he prevents California from sinking into the sea; in “Superman IV: The Quest for Peace,” he obliterates the world’s nuclear arsenals; in “Man of Steel,” he has to prevent the entire human race from being wiped out. Saving the world is a time-honored tradition, but one can invest in the fate of humanity only so often. 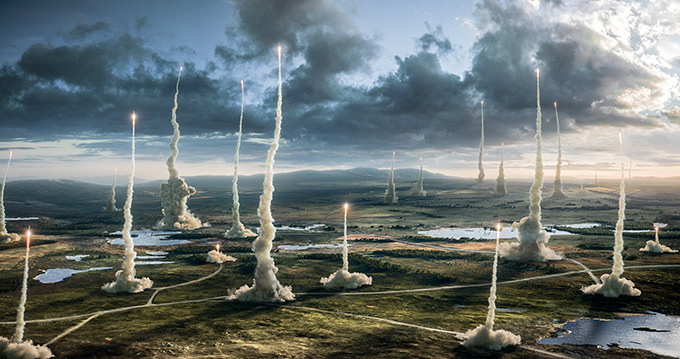 Poor Earth won’t even have a month to recover from Apocalypse’s assault before it’s threatened again in “Independence Day: Resurgence,” where the aliens who nearly destroyed the world in the first “Independence Day” come back to finish the job. Not a summer goes by without a fictional catastrophe, depicted in terms that haven’t changed since Roland Emmerich blew up the White House in 1994. It’s not just the movies. All three interlinked superhero shows on the CW this season have been preoccupied with saving the world from ugly ends: The Green Arrow foiled Damien Darkh’s plan to instigate a nuclear cataclysm; The Flash had to stop Zoom from detonating a device that would have destroyed multiple Earths across different dimensions; and the time-travelers of “Legends of Tomorrow” were tasked with stopping a catastrophe that had already happened. Not coincidentally, all three shows were forced to share another struggle, this one even more dire: It felt like they were running on fumes. It’s been said (though probably not by Josef Stalin) that the death of one person is a tragedy, but the death of millions is a statistic. And that’s the problem: These apocalypse-of-the-week blockbusters deal in statistics. We’re awed by the spectacle of devastated buildings without thinking of the people inside them. If you avert your eyes from the costumed heroes of “X-Men: Apocalypse,” you might notice that Oscar Isaac’s all-powerful mutant actually does lay waste to a good portion of the globe: Cairo, where the final battle takes place, is all but obliterated, and cities around the world suffer a similar fate. But for all the property damage, we don’t see the loss of a single life, or a drop of blood. It’s a zipless apocalypse. 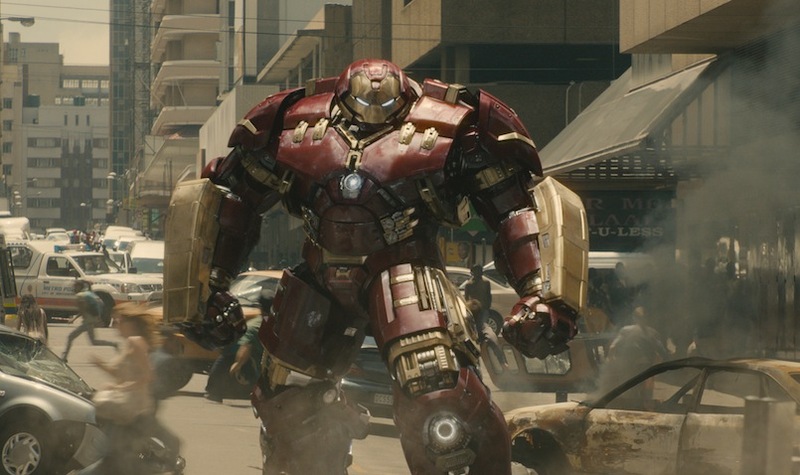 Critics have noted that the Marvel Cinematic Universe is on a narrative installment plan that more closely resembles a long-running TV series than a series of standalone films. But if they’re TV shows, they’re less like dramas than sitcoms, with the status quo inevitably reasserted before the ending credits. Circumstances change — the Avengers are founded! SHIELD disbands! — but the characters don’t, at least not fundamentally. New faces are added to the mix, and occasionally old ones bow out, but the universe’s underlying precepts don’t budge. Our brand is stasis. 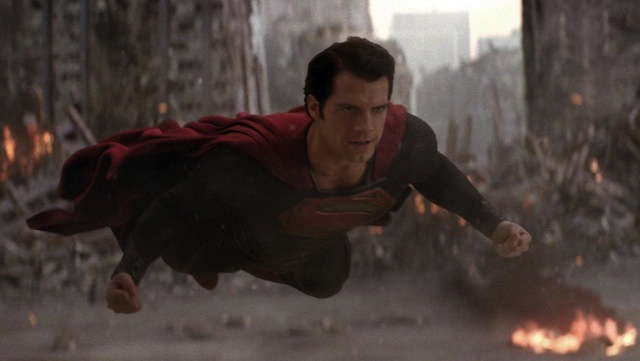 Both “Batman v. Superman” and “Captain America: Civil War” attempted to make amends for their predecessors’ god’s-eye view of staving off the end times, where human beings were seen like ants from the top of a skyscraper. But even then, these movies are almost exclusively concerned with their heroes’ crises of faith — not the lives of those they failed to save. The final act of “Civil War” includes a monologue in which the villain reveals that he’s manipulated the Avengers into fighting each other as revenge for his family, who perished in the climactic battle that closed out “Age of Ultron.” Tragic? Sure. But he’s still the bad guy, or at least the closest thing the movie has to one. Untold thousands may have died fighting Ultron, but it was no one we know. Increasing the threat is the idiot’s way of raising the stakes, the equivalent of a lousy band cranking up the volume to force people to listen to them. At the moment, it’s like studio blockbusters are engaged in an arms race, each trying to outdo the last, competing to see who has the biggest D-day. But we’ve reached the point of mutually assured destruction, where each narrowly averted apocalypse lessens the power of the next. Raising the stakes actually lowers them; it’s a threat that will never be fulfilled. And we’re left with a world where every time the heroes win, the movies lose.